More classes for Zumba Fitness lovers at the East! Come join Lisa for an hour of sweaty workout during lunchtime on a Thursday! Move to the music and just have fun! Old punch cards can still be used till expiry date, all punch cards have a 6 months validity from the date of purchase. 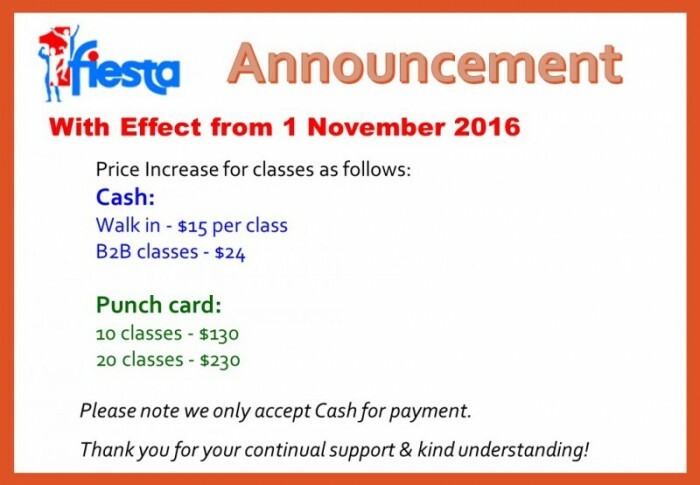 If you need to check your purchase date, email the serial number on your punchcard to info@1fiesta.com.sg and we will advise accordingly. Bookings are currently closed for this event. No, Do Not Send Email Notifications.Yes, Send Email Notification When Someone Replies To My Comment(s).Yes, Send Email Notification Whenever A New Comment Is Posted. Yes, subscribe me to 1Fiesta updates on classes and events.